Opera has just launched version 9 of its data-saving Opera Mini browser on iOS, with a new Video Boost feature that optimizes video content so they load faster and consume less data. 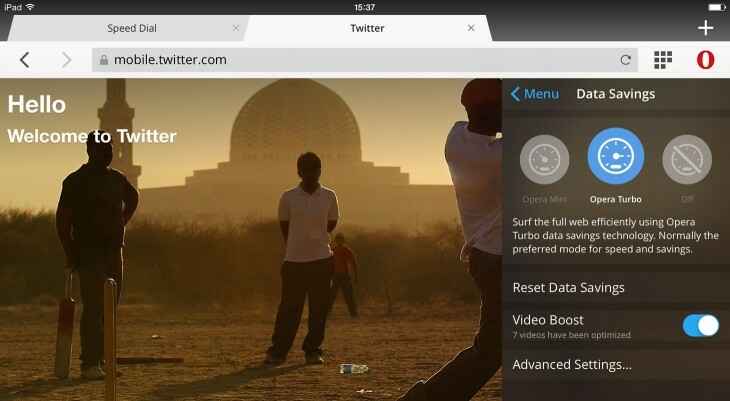 The latest version of Opera’s browser for the data-conscious implements the Skyfire Rocket Optimizer engine to crunch videos for quicker load times. Opera Mini 9 also brings a revised Data Savings view, optimization for the iPhone 6 and iPhone 6 Plus, and an easier way to create Speed Dial shorctuts for your favorite sites. Opera Mini 9 for iOS devices is available for free download in the App Store now.